Oil regeneration - ! Equipment for Transformer Oil Reclamation. GlobeCore. The condition of paper insulation and the magnetic circuits of a transformer is what determines the length of its service life. There is no meaningful limit to the service life of the magnetic elements, but paper insulation is prone to stress and wear over time; making its condition the most important factor of transformer long term service. Normally, paper insulation ages over a long period of time, but the process can be significantly accelerated by heat, oxygen, water and the products of transformer oil oxidation. These products accumulate in the paper over time. As mentioned above, paper insulation traps and accumulates the products of transformer oil aging, acting as a filter for the oil. Changing the oil in the transformer is not a complete solution: as soon as the transformer is filled with new oil, the accumulated contaminants from the cellulose insulation are washed into and solved in the oil. These contaminants accelerate oxidation of oil, forming new deposits in the paper insulation, and the cycle repeats itself over and over again. As far as transformer life extension is concerned, changing the oil is not a radically beneficial solution. Neither is the process of taking the oil out of the transformer, regenerating it and returning it into the transformer tank: the end result is similar to that of simple oil change, with the only benefit being the lower cost of the procedure. The issue can be addressed, to a degree, during transformer overhaul. Flushing the paper with clean oil can remove much of the contaminants; however, the oxidation products deposited inside the paper are still difficult, if not impossible, to remove. Using special detergents helps, but these come at a significant cost and also make the process longer. To make the long story short, repairing the transformer and washing the paper insulation can cost as much as one third of an average new transformer price tag. Apart from protecting the paper in the transformer and insulation transformer components, this oil services as a medium for heat dissipation in transformers, high voltage switches, OF cables and capacitors. Transformer oil is a product of mineral crude oil processing. Since the properties of crude oil vary greatly with the specific type of crude (different chemical composition), so do the properties of mineral transformer oil. Inside the transformer, the oil is subjected to processes and influences that cause oxidation and degradation. The quality and performance of the oil decrease, making oil oxidation an important factor in the general condition of the transformer and its service life as a whole. Transformer oil can be processed: regenerated and purified to remove acids, water, gas, particulate matter and other contaminants, such as tar, resin, a range of hydrocarbons, sulfur and nitrogen compounds etc. There are many methods of processing transformer oil, which can be roughly divided into the following categories: mechanical, thermal, physical and chemical, and purely chemical methods. The latter are expensive and require complex systems, and are only applied if the simpler methods before it yielded no satisfactory effects. The CMM-R process is relatively simple and efficient: the condition of processed oil is “as good as new”, and its quality corresponds to the provisions of the IEC 60296 standard. Using the system to address the issue of oil and paper insulation cleaning improves the quality of transformer insulation, increasing its service duration and saving on unexpected failure repairs and long periods of equipment down time. After transformer oil treatment at GlobeCore СMM-R plants, its parameters fully comply with the requirements of the international standard IEC 60296. Environmental issues are becoming an ever more pressing concern for industrial processing, with investors being generally more inclined to participate in ‘green’ manufacturing projects and back environmentally friendly approaches. The CMM-R unit is built with the environment in mind, because it has the capability to reactive the sorbent used in the process of oil regeneration many times over, before it is finally exhausted and must be discarded – as a clean mineral waste. Of course, the reactivation also saves money which would otherwise be spent on buying new sorbent every time it is saturated, in addition to eliminating the need to buy new replacement oil. Transformer lifetime is increased by as much as 20 to 30 years, which further improves the environmental balance of the technology. 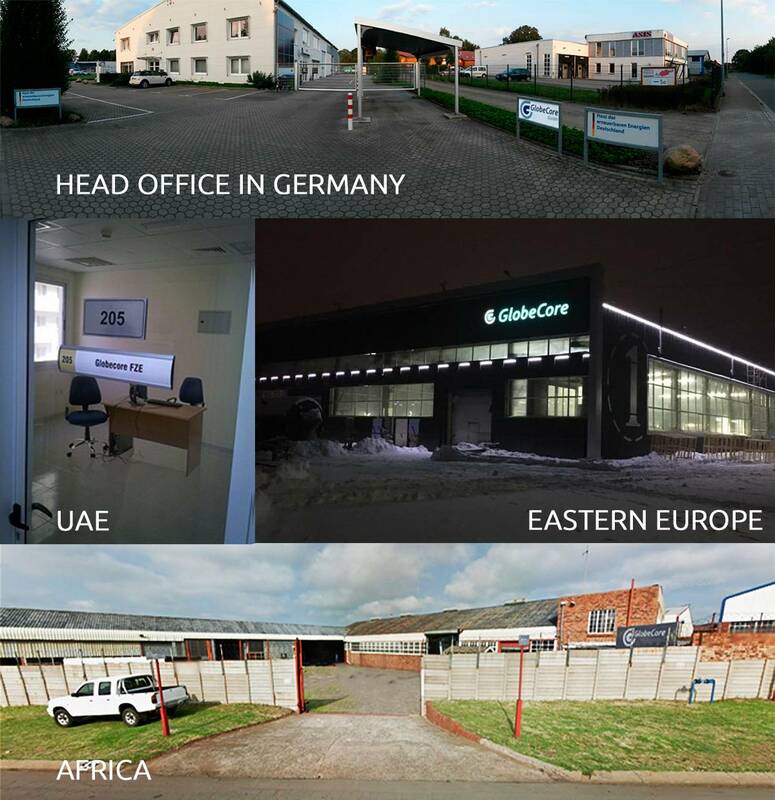 GlobeCore is a manufacturer of oil regeneration systems to suit the needs of transformer operators, servicing businesses and manufacturers. The company’s product range includes solutions for purification of transformer, turbine, industrial and other types of oil with convenient, high performance and practical oil recycling plants. The company’s products operate without environmentally hazardous emissions and are power efficient to reduce operating costs.